Summary: This course immerses participants in the thriving local forest gardening culture of the Hudson Valley. Together we will engage in the practical skills of forest gardening: propagation, grafting, planting & mulching, soil ecology, basic botany & horticulture, management & maintenance, plant identification, mushroom inoculation, foraging & wild edibles, community preparation of local medicines, and fresh forest garden cooking. Daily plant walks connect participants on a deeper level with a diversity of multifunctional herbs, trees, and vines. 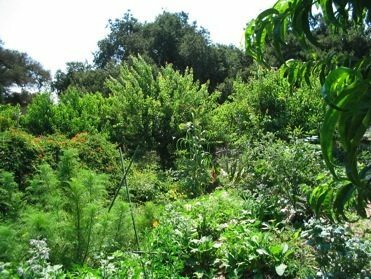 Participants share stories of their own forest gardening explorations, and a visit to an 11-year old local forest garden shows the evolution of these systems. We learn to weave forest gardening into our communities as well as into the soil. maintaining forest gardens. Our connection to the local community will culminate in adding another quarter-acre of forest garden to last year’s acre-planting, and a celebration with the local permaculture community before returning home.